These are absolutely wonderful. You can either fry or grill the chicken, although in my opinion, fried is best! 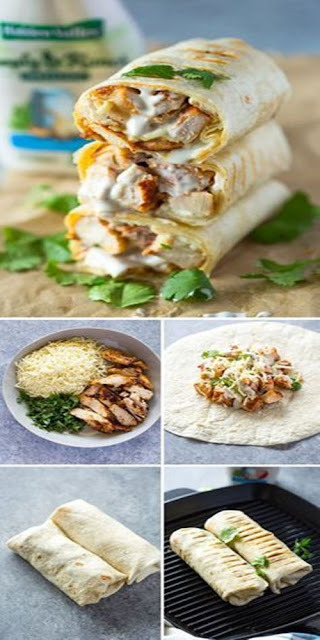 Another nice thing about these is that they take care of all your food groups in one wrap! Place two slices of provolone on a whole wheat tortilla, followed by lettuce, shredded chicken, sliced tomatoes and ranch dressing. Roll into a wrap and place in a reusable container with fruits and veggies for sides.